Let’s Answer 5 Frequently Asked Questions About Credit Score! Three digits that have the power to shape your world: your credit score. The higher the score the better are your chances of dreams becoming true. Not only you will have easy access to loans but will also be offered lower interest rate, which means taking the loan will cost you less overall and you could save a substantial amount over the course of a lifetime. And when something impacts your life that much, don’t you think you should be familiar with it? The sad story is that tens of millions of Indians are taking a blind approach to their money. Everyone wants their finances to be in good shape, but only a few tend to work towards maintaining a good credit history. 1. What is on a credit report? The short answer to that question is: A lot! A typical credit report will include personal identifying information: a list of credit accounts (including credit limit), type of account (credit card, home loan, auto loan, etc. ), and your payment history on those accounts. Each of the four major credit reporting bureaus compiles data from sources that extend you credit. Based on all this data, companies may calculate a credit score to reflect your creditworthiness. 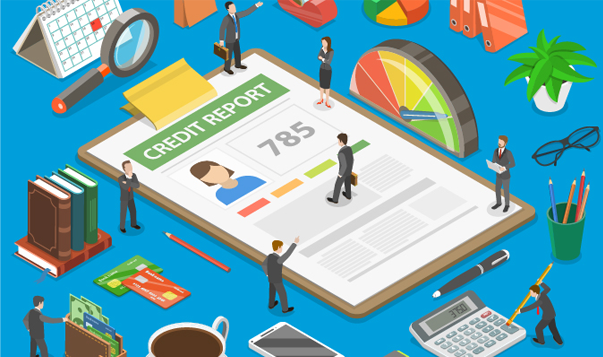 Since each of the credit reporting bureaus provides a score, you may have at least four scores. Bits and pieces of your credit history may vary slightly among the four companies because not all businesses supply information to all three agencies. However, the broad picture of your credit history should be relatively consistent. 2. What Types of Information Can Impact Your Credit Scores? The two most crucial factors that affect your credit score is your repayment of the loan and how timely you pay your EMIs and card dues. If you are a month late in paying your dues, then your credit score might drop by 80 points. Next up is, credit inquiries. They can affect your credit score in a major way. There are two types of credit inquiries, soft and hard. Soft Inquiries are harmless to your credit score but the hard inquiries that are often done by lenders before lending money to you can bring a change in your credit score even if you do not get the loan in the end. Opening new credit accounts can or taking new loans also affect but it can be fixed with regular and timely repayments. Lenders evaluate the credibility of the borrower at their own discretion. They may use whichever scores they’d like and measure those scores on a scale that is unique to them. It’s also possible that they may not even consider credit scores at all. 3. Your Score Is Less Than 750. Now What? Check your credit score yearly, at least to avoid surprises! With CRIF you are entitled to one free credit report every year. And no, your credit won’t take a blow if you do this – it’s considered a “soft” inquiry. If your credit score is lower than 750 then you should dig deep in your credit report and find out the reasons for bad credit score. Look at your credit card balances and credit utilization ratio. The closer you are to hitting your maximum limit, the more it may lower your score, so pay down those balances if you can. Check out for errors/information listed in the credit report not undertaken by you, in that case, you should immediately report to the credit bureau or the banks to update your information. Abruptly closing your credit cards with a long credit history can affect your credit score in a negative way. How long you’ve been borrowing affects your score. The longer the better. 4. How long does a bad credit rating last? Debts have a finite duration, and so does negative information that appears on your credit report. All negative information on the credit information often falls off the report after 7 years. Make sure all your payments and your credit activities are timely and regular to show stability in your credit behaviour and eventually pushing your credit score towards the good side. 5. Who Can See Your Credit Report? Your credit report information is not available to the public and can be accessed only you’re your permission. When you apply for a loan and credit card then your permission is required as the lenders and banks need to investigate the information to determine your creditworthiness and your potential and ability to pay back the borrowed amount. Now that we have explained the basics of Credit Score, wait no longer, follow these steps and start building a good credit history now!